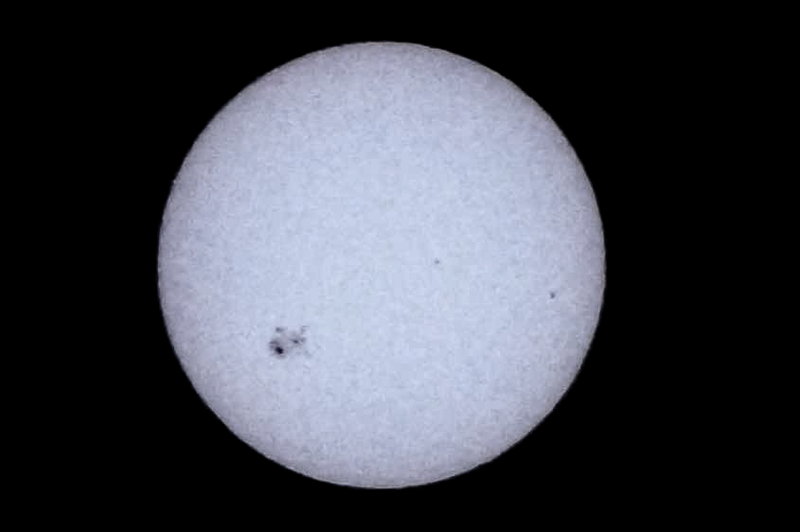 This naked eye sunspot has caused ionisation in the Earth's upper atmosphere and some radio blackouts, but has not produced any Earth directed CMEs that could have caused disruption. 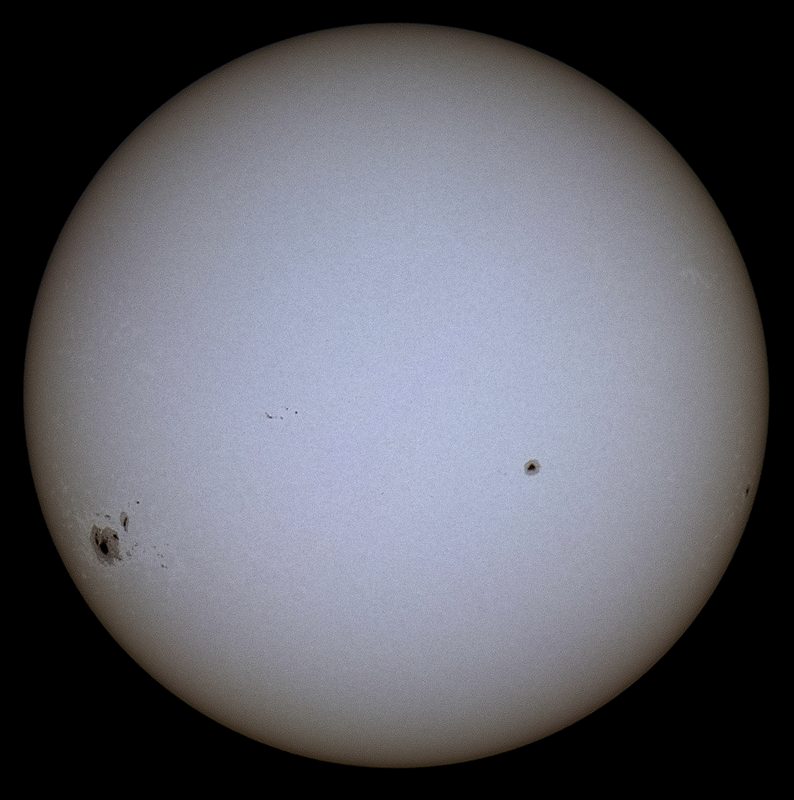 A single exposure on a Sony A57 with a Tamron 18-250 mm lens with a Solar filter, on maximum zoom. 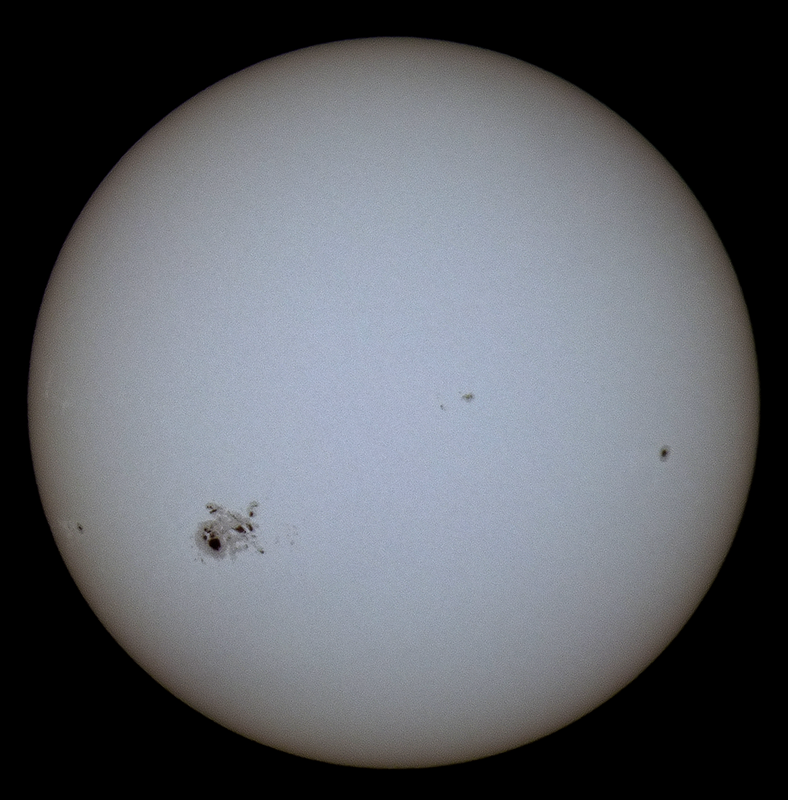 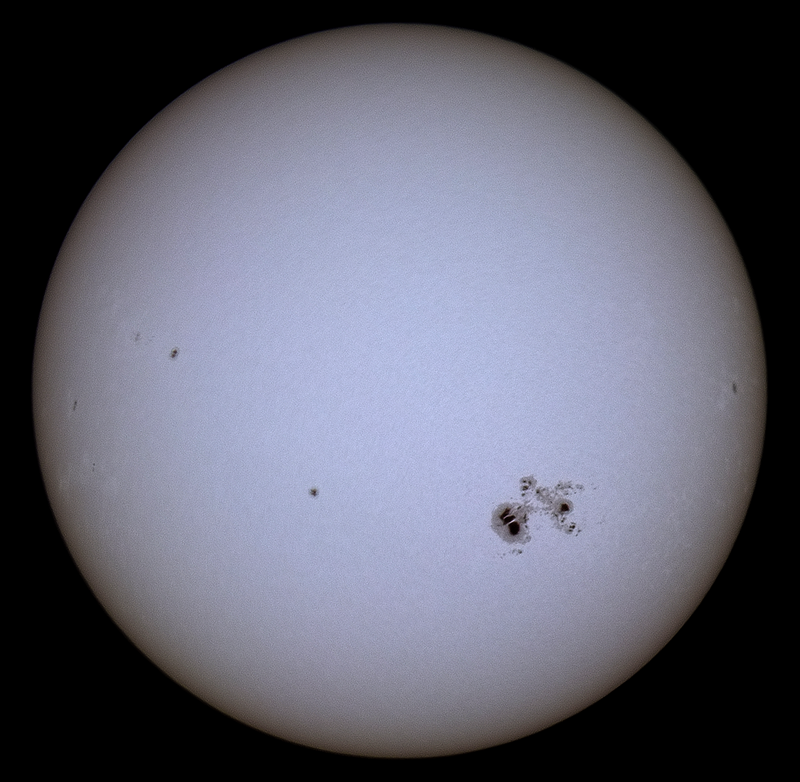 The naked-eye sunspot is clearly visible, as are minor sunspots. 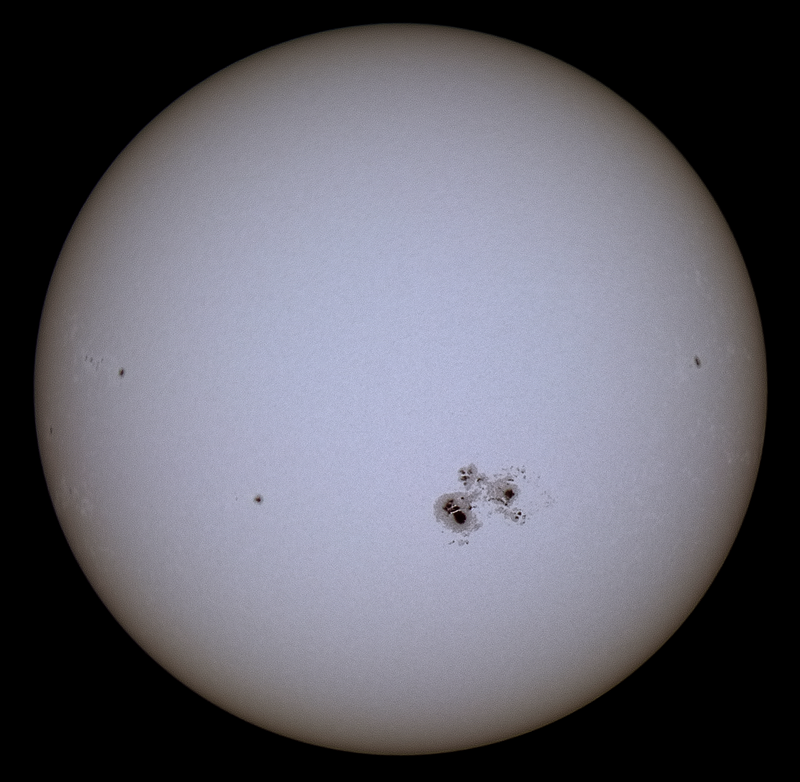 This sunspot is at the edge of naked eye visibility.